Tarhun - is a sweet, non-alcoholic carbonated refreshment drink of green color. It was made of water, citric acid, sugar, and the tarragon extract. 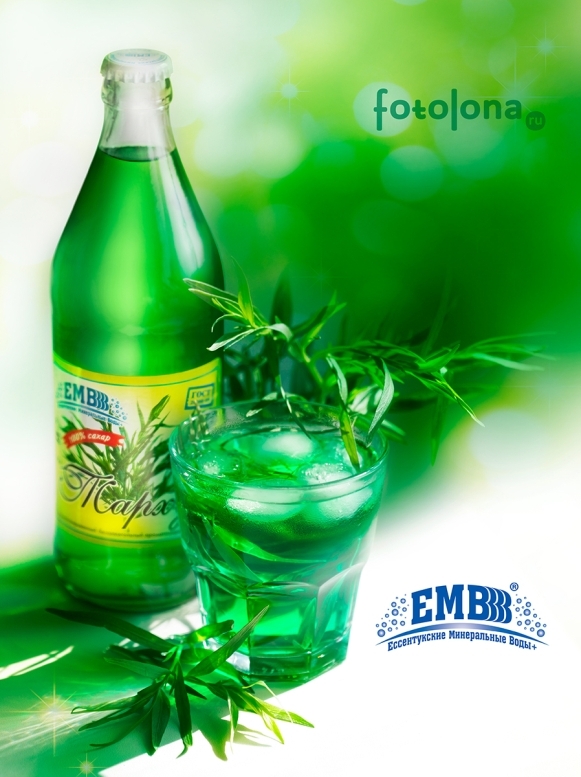 It was first produced in 1887 by Mitrofan Lagidze, a pharmacist in the city of Tiflis, who began to add a fragrant extract of the Caucasian tarragon, Tarhun, into carbonated water with natural syrups of his own production. Before the World War I, Lagidze's waters were repeatedly awarded gold medals at international exhibitions. It first entered the mass Soviet Union market in 1981. The pilot batch was sold in the Central Botanical Garden of the Academy of Sciences of the USSR in standard 0.33 bottles. Thereafter its recipe was handed over to food industry enterprises and in 1983 Tarhun began to be sold in many republics of the former USSR and administrative regions of the RSFSR. These days «Tarhun», is produced on the basis of flavoring materials, while keeping intact its taste and aromatic qualities of a traditional drink. The taste of our Tarhun has already been appreciated by independent experts at the All-Russian tasting session and has been awarded several medals.